Mozilla recently released their all new revamped version of their web browser named Firefox Quantum. 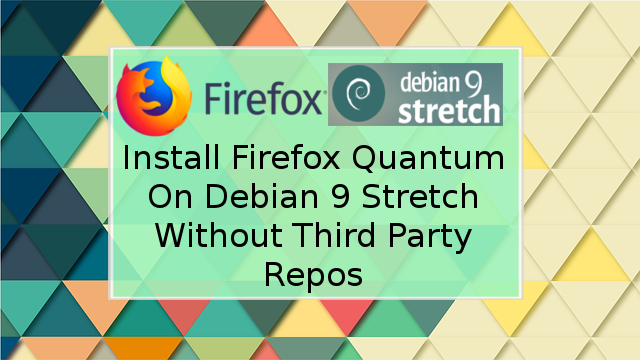 Although they released the browser on all supported platforms including Linux, it is not available and never will be on the official repository of Debian 9 Stretch because of their release scheme. Only the ESR (Extended Release Support) version of Firefox is available on official repository on Debian 9 Stretch. However, it is available on Debian Sid repository which will be unofficial for Debian Stretch. But as the title of our article suggests we won't be using any third party repo to install Firefox or wont upgrade to Debian Sid. 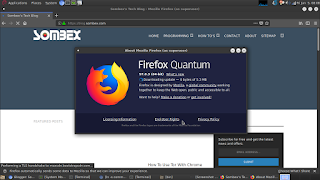 We will download the latest Firefox Quantum package form Mozilla's ftp and install it manually on our Debian box. Go through the remaining article to get your latest Firefox Quantum. As i have already stated we will be download Firefox package form Mozilla's site and we will use wget to download the Firefox package. 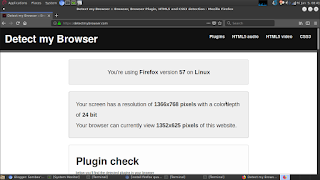 sudo wget -O FirefoxSetup.tar.bz2 "https://download.mozilla.org/?product=firefox-latest&os=linux&lang=en-US"
sudo wget -O FirefoxSetup.tar.bz2 "https://download.mozilla.org/?product=firefox-latest&os=linux64&lang=en-US"
By now, you should have known that this is not a standard Debian package, so we will have to unpack and install it manually. This way Firefox will be installed with automatic updates. 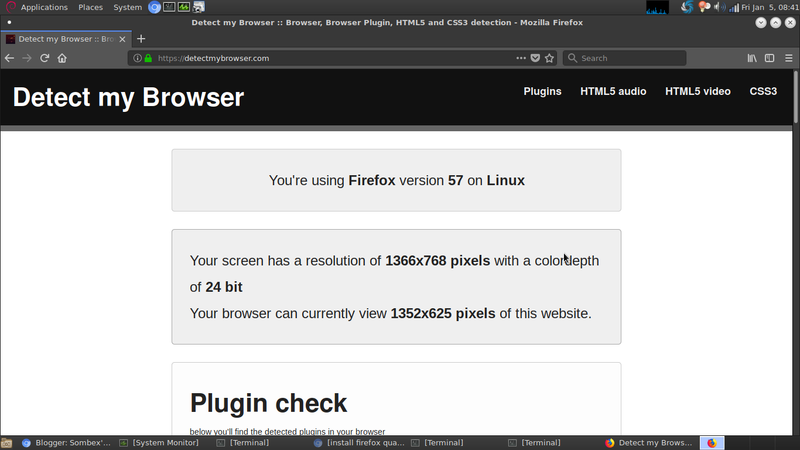 After this you should be able to run Firefox by entering 'firefox' on terminal. As the named suggests, launcher is a icon to launch specific app. To do this right click on your desktop and click create launcher. Now you can run firefox through that launcher too. You can even set the launcher icon to firefox from its properties. And that's the end. Faced any issues?? I would love to help you, comment below.